A wide range of AmpMedia products are available for the detection and quantification of various microorganisms. All AmpMedia products are available ready to use in liquid form. AmpMedia are supplemented with different indicator systems. Selection of the appropriate indicator system is driven by the specific application. 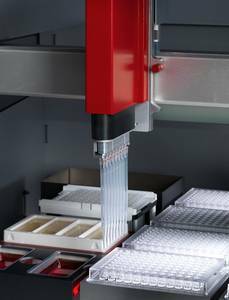 As the LabImager TR is capable of the detection of any colour change, alongside with pH and redox indicators, the whole currently and prospectively available chromogenic indicator system range can be used. Fluorogenic substrates can also be used when the uv-imager's UV detection system will be used for detection. The formulas of the SY-LAB AmpMedia products have been optimized to meet the requirements of the AMP-6000® technology, and their composition is appropriately protected. AmpMedia products are exclusively available from SY-LAB or via the appointed international distributors. Sy-Lab AmpMedia products come along ready to use with all the supplements and additves necessary to perform the requested tests. There is no need for additional components to be purchased elsewhere. Please refer to the package insert for details of use. QC certifiactes and MSDS are available for download in the service and download area. 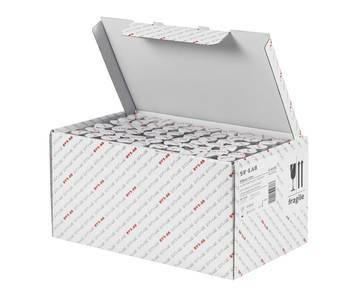 60 tests per box including 60 sample reservoirs for the AMP-6000 APS Platform. 15 bottles à 240 ml = 600 tests per box.